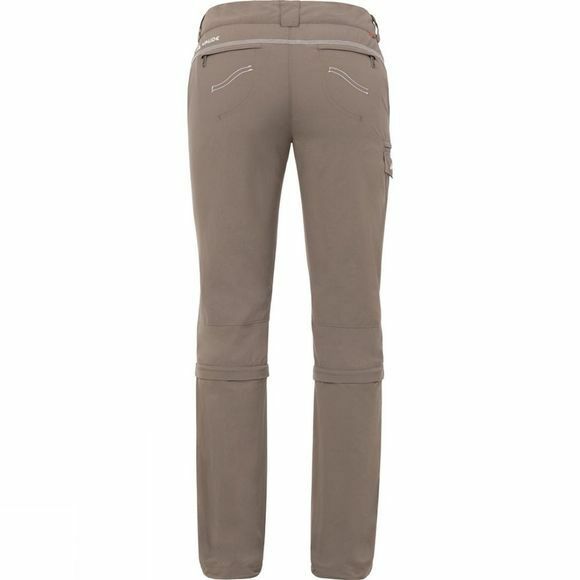 The Women's Skomer Capri Zip Off Pants from Vaude are not just for globetrotters. 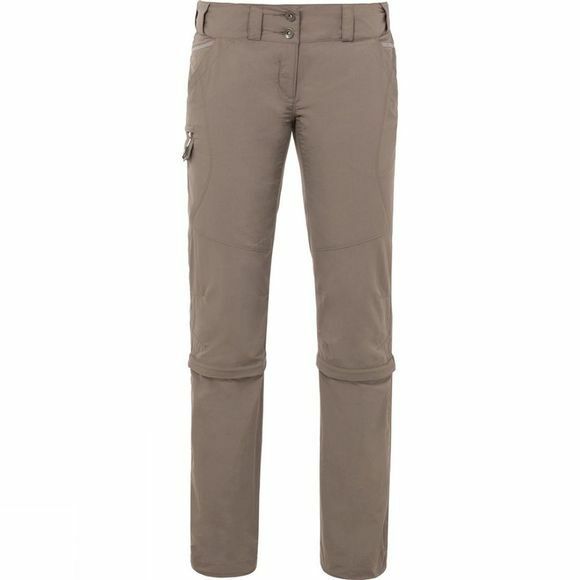 These exceptionally comfortable hiking pants feature a captivating, stylish design and environmentally-friendly bluesign certified materials. The stretch waist and comfortably lightweight fabric never constrict, which really pays on longer travels or in warm weather. When needed, the pants can be unzipped into summer capris. Practical in muggy climates and for surprise showers: the fabric is fast drying and low-maintenance.